Simon studies English literature in France. Before going to Galway, Ireland, as a part of an Erasmus exchange programme, he gave himself the challenge of writing in English and self-publishing his work. Before taking up this challenge, he had already started jotting down some notes in French about his experience as a new face model. Finally, he decided to gather up all these inscribed memories into one piece of writing – a memoir. 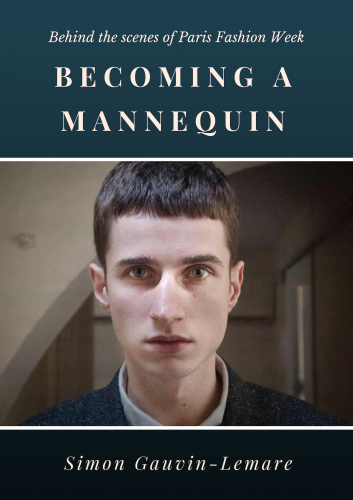 He is twenty years old, tall and thin, and he wants to become a model. In fact, he’s always wanted to become one. He finally finds a good Parisian modelling agency, which agrees to represent him. As Fashion Week approaches, and even though everything is going well, he starts to wonder if this supposed ‘dream job’ is meant for him. In French ‘mannequin’ means ‘model’, and although their meanings differ in English, for him they are synonymous.